"DIA Insights" | DiNuzzo Index Advisors, Inc. Looking for the latest news on DFA funds, retirement income planning and wealth management? Look no further. Stay informed with the most up-to-date financial news and tips from across the country and around the globe. We upload new information regularly. May 6, 2012 IFA.tv: Interview with Dave Butler, Head of Global Financial Advisor Services for Dimensional Fund Advisors. 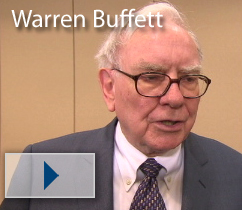 April 14, 2012 Peter Lynch, His Disciples and Warren Buffett: Luck or Skill? You be the judge. Feb 25, 2012 IFA.tv Morningstar Managers of the Year - Show 18-2 - Mark and Tom present a variety of charts showing the performance of several mutual funds managed by individuals who were Morningstar's Manager of the Year from 1991 to 2008. See the charts here. They discuss the inception to date performance of these funds and the period after receiving their star status, showing that the funds' alphas (performance over a benchmark) over time were not statistically significant, except in one case. Feb 21, 2012 Mark provides a voice of reason in USA Today. Feb 18, 2012 If markets are so efficient and difficult to beat, what about Peter Lynch, Bill Miller, Warren Buffett, or Sixteen Managers of the Year? Feb 13, 2012 An interview with Eugene Fama. Feb 03, 2012 Just How Skilled of a Manager Picker Do You Need to Be? Feb 02, 2012 Morningstar's Manager of the Year: Luck or Skill? How many years of data do you need to decide: 165, 24, 103, 77, 44, 57, 83, 35, 2,235, 60, 401, 55... Better stick with index funds. No skill or even luck required. Jan 12, 2012 Tilting Towards Small Cap Stocks: Is It Still Worthwhile? Dec 30, 2011 IFA.tv Episode 10: 401k Plans: Making them successful, easy and transparent. Dec 29, 2011 Is Your Brain a Barrier to Smart Investing? Dec 21, 2011 Alpha Bits or Lucky Charms? Dec 20, 2011 IFA.tv Episode 6: How Easy is it to Predict the Future of Your Investments? Dec 8, 2011 International Diversification: Is It Still Worthwhile? Dec 2, 2011 Is There a Manager Risk Premium? Dec 6, 2011 The first video recording of an IFA Radio show and first recording in our new IFA.tv studio. 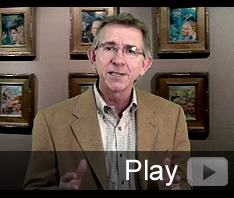 Dec 1, 2011 www.IFA.tv -- From the televison studio in the new IFA Media Lab comes 6 new IFA.tv webcasts: Resist the Temptation!, Risk Capacity, Avoiding Style Drift, Mark Hebner's Story, The IFA.com Website, and the Value of a Passive Advisor. Stay tuned, several new webcasts are being rendered now. You can watch in HD on your computer, Kindle Fire, Android Device, iPhone or iPad and with AppleTV and Airplay, can pop them up on your TV and watch in HD. Youtube, iTunes (audio and video), and Vimeo editions coming soon. New! Index Funds: The 12-Step Recovery Program for Active Investors - call an IFA Advisor at 888-643-3133 for a login (we would like to keep track of who gets copies) to preview the new condensed, updated and revised book. Save it as a PDF. It looks great on your computer, laptop, iPad, iPhone or Android device. Nov 29, 2011 What Does a Winning Streak Tell Us? by Weston Wellington - Bill Miller is one of the most closely watched money managers in the industry, so it was big news when he announced his decision last week to step down as portfolio manager. Nov 22, 2011 The New IFA Painting: Asset Location An additional way that IFA can add value is not just asset allocation but asset location. Specifically, for a client that has a mixture of taxable accounts, traditional IRAs, and Roth IRAs, it is often helpful to construct a single portfolio consisting of multiple investment vehicles that are located in different accounts with the ultimate purpose of optimizing after-tax returns. Nov 17, 2011 The building of IFA.tv Studio in the new IFA Media Lab. Near the end you can see the recording of our first IFA.tv show. Nov 7, 2011 The Extraordinary Popular Delusion of Bubble Spotting - Good Luck! Oct 26, 2011 'Absolute return' is absolute nonsense - Investment News. This is something IFA has been saying for a long time. Oct 15, 2011 A Golden Touch Turns Leaden, By JAMES B. STEWART - John A. Paulson made billions betting on the housing collapse. But his more recent predictions of a powerful recovery have cost him dearly. Sept 27, 2011 Dan Solin Interviewed on his new book. Sept 26, 2011 What % of the days had positive returns? What % of rolling 60 month periods (5 years) had negative returns? Find the answers and more HERE! Sept 9, 2011 Watch John Bogle's latest interview with WSJ. Last year, investing success came from embracing risk. Certainly, it wasn't hard to find - and DFA led the charge to come out on top in Barron's annual ranking of best fund families. Click here to read the full article. July 28, 2011 Should you be worried about your IFA index portfolio? No. Read this classic from March 9, 2009 on the Resilience of Capitalism. Remember: the job of a free market is to set prices so investors are rewarded for the risk they bear. The news and it's implications are already baked in the cake. July 27, 2011 Pension-Gate: An analysis of state and federal pension plans across the United States. June 21, 2011 Planning for Retirement? Take Off Those Rose-Colored Glasses! June 9, 2011 How big of sample do you need to be statistically significant? May 25, 2011WOW! More Eye Candy Charts. 83 years of Index data, sortable by highest return per year. The Play button will auto loop the data. Click a button to see just that index. - Also see Index Portfolios in the same format. May 3, 2011 Three milestones: CRSP Marks 50 Years - IFA achieves $1.5 Billion AUM, The IFA Index Data Series reaches 1,000 monthly returns, going all the way back to Jan 1, 1928. April 2, 2011 The latest painting from IFA and Lala: Tax Loss Harvester. Also, new chart of the Dow Jones Commodity Index. March 26, 2011 Two new incredible charts that display data on Simulated Passive Investor Experiences: Time Diversification of Index Portfolios and Histograms of Simulated Passive Investor Experiences. March 22, 2011 THE BIG QUESTION: What are the chances that you will run out of money in your retirement? Now IFA will estimate this probability using a Monte Carlo Analysis of the risk of ruin. Just enter your assumptions in this form. What is the Monte Carlo Method? March 21, 2011 An Oldie but Goodie from 16 Years Ago. Rex Sinquefield explains why all the news is baked in the cake and active managers have no advantage over the combined wisdom of all the market participants. March 16, 2011 Jay Franklin talks about the Mug's Game of Manager Picking. Dan Solin reminds you of What Really Matters. March 10, 2011 Should you get out of the market? Looking over the long term, David Booth reviews the history of the stock market and highlights the importance of time, not timing, in the achieving long term investment success. Kenneth French explains why Manager Picking is such a terrible idea. 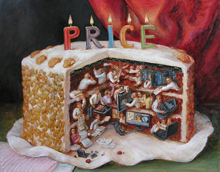 March 9, 2011 The Efficient Market Hypothesis says that prices reflect all available information. In other words, the information is "Baked in the Cake". In a strict view, it says that it is impossible to beat the market. It also indicates that you are always paying a fair price. Fair prices are set so the investors are rewarded for the risk they take. Feb 18, 2011 The Active Investor's Fallacy is similar to the Gambler's Fallacy, because active investors are gambling on an approximate normal distribution of future returns. The arguments for stock, time, manager or style picking are all fallacious. Visit Steps 3, 4, 5, and 6 to see why. Wiki says: In logic and rhetoric, a fallacy is incorrect reasoning in argumentation resulting in a misconception. By accident or design, fallacies may exploit emotional triggers in the listener... Fallacious arguments are often structured using rhetorical patterns that obscure the logical argument, making fallacies more difficult to diagnose. Feb 5, 2011 Get Your Financial House in Order. Complete a Home Budget and estimate your Net Worth. Then, see if your Retirement is on Track. Print out your reports and repeat each year. If you need help, call us. Jan 25, 2011 Several introductions to the The 12-Step Program that Cures Active Investors. Jan 22, 2011 Thoughts from IFA. Over last 9 yrs, 11 mos, Buffett ended up with the same return as IP45, but with almost double the risk. Jan 16, 2011Why does IFA advise clients to invest in DFA funds? See this whole page of 14 new DFA videos and explanations. Jan 15, 2011Fortune Magazine's Ten Most Admired Companies from 2001. Where are they now on the risk return scatter plot? Jan 14, 2011 A great review of why investors should index, by Weston Wellington. Jan 8, 2011 The Big Table of Indexes: Risk and Return of the IFA Indexes over the last 83 years. Jan 7, 2011 Burton Malkiel: Markets Aren’t 100% Efficient But You Still Can’t Beat ‘Em - Which Country will be the next top performer? See the latest interactive chart from IFA. Jan 3, 20112010 was another great year to be an indexer. Capitalism Works. Buy, Hold & Rebalance Works. IFA Provides Value, Education and Discipline to It's Clients. Is your broker your fiduciary? - A fiduciary duty is a legal or ethical relationship of confidence or trust regarding the management of money or property between two or more parties. IFA is your fiduciary. Jan 3, 2011One more paper on whether Luck or Skill determines investment manager returns. Conclusion: "When the model is applied to a sample of large cap value managers, the results indicate the most of the annual variation in performance is due to luck, not skill." Dec 23, 2010Updated Roller Coaster of Risk and Return. Dec 23, 2010"Another solid fund is DFA Emerging Markets Small Cap, which has returned 19.6% annually during the past 10 years, outdoing 98% of diversified emerging-market funds." IFA has been advising our clients to invest in this fund since Jan. 2000. See data here. Dec 17, 2010FBN's Sandra Smith and Burton Malkiel: Active versus Passive. "Professor Wermers said he believed that it was “exceedingly probable that any fund that has beaten the market by an average of more than one percentage point per year over the last decade achieved that return almost entirely due to luck alone. By definition, therefore, such a fund could not have been identified in advance,” he added. In an interview with Money Magazine for its July 2007 issue, Bill Miller, manager of the Legg Mason Value Trust Fund describes his improbable 15-year streak of outperforming the S&P 500. Miller’s incredible run has many industry insiders and investors scratching their heads in bemusement as to whether his success is attributed to pure luck, calculated skill, or even poor benchmarking (Legg Mason’s Value Trust Fund had risk levels (standard deviation) of a value index, but was compared against the S&P 500). Dec 21, 2010USA Today's Matt Krantz references IFA's Index Portfolios and Indexes to quantify risk and return. Dec 20, 2010 Seventy-eight years ago on December 31, 1932, Alfred Cowles presented his analysis of 45 professional agencies on their ability to forecast the stock market. Conclusion: The most successful were about the same as you would expect from "pure chance." Nothing has changed. - Do you still want to try to pick stocks? If so, read the abstracts from these studies. If they don't cure you, download and read the actual studies. If that doesn't work, then you need to visit a Gamblers Anonymous Recovery Program. Dec 8, 2010Now buy the Digital Version of Index Funds on Google Books. Dec. 3, 2010 Odds are you don't know what the odds are. The probability of getting a market forecast correct maybe much higher than you expect. For example, if an event has a 10% chance of occurrence and 10 forecasts are made, there is a 65.13% chance that one of those guesses will be correct. How many forecasts do we hear every day? See this chart and test your own assumptions about forecasts. Dec. 2, 2010 Meir Statman says that index funds are "fabulous." IFA agrees. Also, Kenneth French discusses the "new normal." Dec. 2, 2010 Odds are you don't know what the odds are. Have you ever wondered how often Fixed Income beats Index Portfolio 100 on a monthly basis over the last 995 months? Compare Index Portfolios! - If you looked at 960 36-month periods, what % of the time does a small value index beat a large growth index? Compare Indexes! - Kenneth French explains the power of prices to collect information and keep expected returns positive. - Dan Solin tells it like it is. Nov. 11, 2010 Distribution of Monthly Returns of Index Portfolios and the SP500 over many different periods from 10 years to 82 years. WOW, another amazing chart from the IFA Media Lab! Nov. 10, 2010 Fair Price = Fair Return - Before you trade, ask yourself, "Who is on the other side of this trade, why do you know more than they do and is this a fair price?" Nov. 6, 2010 Glide Path Investing - IFA can automatically "Glide Path" your portfolio, which reduces the risk by 1 out of 100 IFA Index Portfolios each year. - Click the Glide Path button below IP100 on this Figure to see the effect of the Glide Path. - To understand the Glide Path of Life, see here. Oct. 22, 2010 The Index Funds Win Again - From NYT.com, Feb. 21, 2009 - "... it was “exceedingly probable that any fund that has beaten the market ... achieved that return almost entirely due to luck alone." Oct. 19, 2010 Just by luck alone, we should see more managers beat the market than what we actually observe. 300 out of 10,000 active managers should beat the market by chance alone. From Fama French: "despite the extremely good past performance of the top 3% of active funds, going forward we expect them to do about as well as comparable efficiently managed passive funds" and the remaining 97% to underperform a passive alternative. Sept. 23, 2010 Fees are Better Predictor of Fund Returns than Morningstar Stars. August 3, 2010 - The Siren Songs of Active Management. Resist the temptation. The latest release from IFA Films, also see in High Definition. Nov. 3, 2010 Do you still like commodities? You would be well advised to read this before investing. Ken French is an expert on commodities. Oct. 11, 2010 The 12-Step Program to Cure Active Investors Overview, in Chinese. We are on our way to curing 3 Billion more people. Click to read the full summary. Oct. 9, 2010 Can you predict which industrial sector will be the next winner? Sept. 15, 2010Five Different Video Presentations of the 12-Step Program to Cure Active Investors. Are you Cured? October 12, 1995 - Oldie but Goodie: A Classic: Listen to the Rex Sinquefield Active Versus Passive Debate. From Rex: "It is my contention that active management does not make sense theoretically and isn't justified empirically. Other than that, it's O.K. Fidel Castro recently admitted the "market failure model" does not work. When will active managers do the same? In other words, it is better to assume markets find the best estimate of prices, not an active manager! A Tenfest: 10-10-10 at 10:10am, Powers of 10 every 10 seconds In honor of Charles and Ray Eames, see the incredible short film: Powers of Ten. Powers of Ten (1977) takes us on an adventure in magnitudes. Charles Eames provided the inspiration to create the Fair Price Simulator in the IFA lobby. He designed an outdoor 14 foot Probably Machine for the 1964 World's Fair IBM Exhibit. October 12, 1995 - Oldie but Goodie: A Classic: Listen to the Rex Sinquefield Active Versus Passive Debate. From Rex: "It is my contention that active management does not make sense theoretically and isn't justified empirically. Other than that, it's O.K. But it's easy to understand the allure, the seductive power of active management. After all, it's exciting, fun to dip and dart, pick stocks and time markets; to get paid high fees for this, and to do it all with someone else's money." Click play button below to listen. Fidel Castro recently admitted the "market failure model" does not work. When will active managers do the same? It is all about the price. From Commanding Heights: "What von Mises said is that the great flaw of socialism is that it doesn't have a functioning price system to send all the signals to consumers and producers as to what something is worth; that these prices are at the very heart of what makes a functioning economy work. You can think of them as traffic signals. And if you don't have them, what you get is a system that doesn't work, or you get chaos. ...Free markets do it best -- why fool with anything else?" In other words, it is better to assume markets find the best estimate of prices, not an active manager! Sept. 2, 2010 420 Bell Curves! Sept. 2, 2010 - Great Interview of David Booth and Eugene Fama at the University of Chicago Booth School of Business on iTunes Podcast (see #1 podcast). More DFA Stories in video. August 4, 2010 - Forty-five years ago, Eugene Fama dropped the equivalent of an atomic bomb on the active management industry (stock and time pickers) with his paper titled, "Random Walks in Stock Market Prices." It is profound and if you have not read it very carefully, you need to. It will enrich your retirement. See the random walk of prices physically displayed HERE. August 2, 2010 - Ben Stein on Active Traders. July 22, 2010 - "It is difficult to get a man to understand something when his salary depends upon his not understanding it." - Upton Sinclair, (1935) - See Dan Solin's new post about this quote. Copyright 2010, Index Funds Advisors, Inc.
July 20, 2010 - from IndexingBlog.com: Once you understand how the bagel or pencil market, while imperfect, functions smoothly without a manager, you can begin to appreciate the wisdom of buying an index fund. July 9, 2010 - 35 Year Annual Rolling Returns Matrix Updated for 2009 for 20 iPortfolios and 15 IFA Indexes. Options include Growth of $1. July 8, 2010 - All new data base driven risk return scatter plot for IFA iPortfolios and Indexes over the last 82 years. Click the Options button and input any period to see the relationship between risk and return. July 5, 2010 - An important message from DFA’s Weston Wellington is titled “Is It Different This Time?" Click here to view it. This insightful and informative presentation reveals that time after time, headlines have been poor predictors of future market movements. Also see this video. July 5, 2010 - A analysis of eight centuries of financial folly lead to the conclusion that nothing is different. Capitalism is amazingly resilient. John Templeton said the four most dangerous words in investing are, "It's different this time." DIVERSIFICATION. Lots of baskets, with lots of eggs from all over the world! Let's just call it Capitalism, Inc.
June 28, 2010Does Past Performance Matter? Of Course Not! June 23, 2010IFA vs Gold, Oil and Gas - Invest in Capitalism, not Commodities. June 5, 2010The Lost Decade? Not for IFA Index Portfolios. June 1, 2010 Father of Modern Finance Weighs In on Efficient Markets and too big to fail. June 12, 2010 Mark Hebner consults with the Bhutan Government Investment Entity. June 1, 2010 The Sirens of Speculation. Resist the Temptations! Click the enlarge. May 29, 2010 You’ve just inherited a retirement account. Now what? - Should I convert my Traditional IRA to a Roth IRA? April 19, 2010The UK discovers the benefits of indexing and the detriment of the Silent Partners. April 3, 2010 Download Index Funds: The 12-Step Program for Active Investors. Learn about IFA Index Portfolios on the iPad. Open Safari on your iPad, go to ifa.com, click here. Then hit the + and choose add to home screen. You can also add www.ifamobile.com to your home screen. April 2, 2010Got Index Funds? See our new 401(k) Plan Solution. IFA is nationwide, so send this link to your CFO or Director of Human Resources. March 28, 2010 Jason Zweig discusses Style Drift and Improper Benchmarking. Don't be fooled. March 15, 2010 - CRSP celebrates 50 Years. IFA obtains it's data from the Univ. of Chicago Booth School of Business' CRSP. Feb 3, 2010 - NO ACTIVE FUNDS - Stop the Rip-Off - It's a Movement. It's a Revolution. - Get Your NAF Buttons, shirts, mugs, clocks, etc. Feb. 28, 2010 - With a twist on The Beatles famous verse from "The End" on the Abbey Road album, investors could say, "And in the end, the return you make is equal to the risk you take." Every incremental point in your risk capacity score carries with it an incremental increase in expected return. - That Beatles song was recorded in August 1969, if you invested $10,000 in IFA Index Portfolio 100 then, it would be worth $1.2 million on Jan 31, 2010. Jan. 14, 2010 - Burton Malkiel was right—AGAIN. Click to see the next winning fund manager. 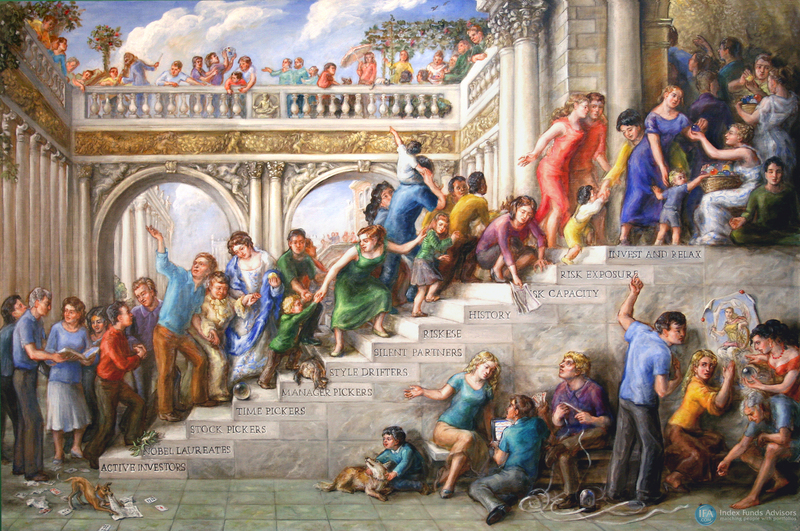 Dec. 2, 2009 - To Beat Index Funds, Luck Is Your Only Hope -- See the IFA painting on this concept. Oct. 20, 2009 - Luck versus Skill: In a random distribution, it can only be luck. August 1, 2009 - IFAart.com, because a picture is worth a thousand words." Oct. 4, 2009 - "Contrary to their oft articulated goal of outperforming the market averages, investment managers are not beating the market: The market is beating them." - Charles Ellis, The Loser's Game, 1975. This article is an investing classic from 34 years ago. Sept. 25, 2009 - - USA Today's Matt Krantz teaches readers how to use the IFA Calculator. Investors need data. Sept. 11, 2009 - Dan Solin's blog on What Wall Street Doesn't Want You to Know. August 27, 2009 - Freakonomics Blog at the New York Times embeds Sir Francis video. August 27, 2009 - Eugene Fama: King of the Downloads at ssrn.com. August 24, 2009 - Retirement Planning: The Save 10% and Spend 5% Rule is still great advice. Followup on above video: Tim Sykes, age 25, ran a top-ranked, short-bias fund called Cilantro Fund Partners. After suffering a roughly 35% loss over two years, Timothy closed his hedge fund. Get into Stockaholic Rehab. August 12, 2009 - Are Markets Still Efficient? Yes. Watch Eugene Fama Explain. August 11, 2009 - July 2009 Update: Probability of Recovery from recent market decline. August 5, 2009 - - Estimate your Net Worth and Home Budget and Test Your Retirement Assumptions with the Retirement Planner (IFAretire.com) with three new calculators. August 1, 2009 - IFAart.com , because a picture is worth a thousand words." Say HELLO to Francis, our third Probability Machine. Francis is 8 ft tall and is used as an educational tool to explain order in chaos, market randomness, expected return, the uncertainty of that expected return or the distribution of errors of the expected return. See this example. - See an Image of Francis Here. - IFA Indexfolios and Indexes as bell curves. July 19, 2009 - More Index Funds Sought for 401k Plans. Get risk calibrated index portfolios for your 401k plan from IFA call 888-643-3133 and see ifa401k.com. July 13, 2009 - Tainted Pension Fund Advice. "In the eternally sleazy pension consulting industry..."
July 9, 2009 - John Meriwether to shut another hedge fund. How many Hedge (Ledge) Funds and mutual funds have to fail before investors figure out that markets are random and efficient? Just index it! July 7, 2009 - IFA Exclusive! July 3, 2009 - Socialism and Returns - What is the Relationship? June 24, 2009 - See this intriguing new dynamic chart with the Dow Jones Stocks Versus 19 Indexes and 20 Index Portfolios over the last 35 years. The conclusion of this data: It never makes sense to buy one stock. June 12, 2009 - Interview with Eugene Fama, Sr. - He covers efficient markets, the zero or negative sum game of active management, diversification, probability machines and why you should be a passive investor. June 9, 2009 - From CNBC interview John Bogle: "Nobody should buy individual stocks or bonds." Harry Markowitz gives an IFA Exclusive Presentation on Portfolio Theory Vs. Financial Engineering, and Their Roles in Financial Crises. April 25, 2009 - - IFA leverages CROWDSOURCING by accepting stock prices agreed to by millions of traders. This is also referred to as Wisdom of the Crowds. March 30, 2009 - - Luck versus Skill in the Cross Section of Mutual Fund Alpha Estimates - Fama, Eugene F. and French, Kenneth R., (March 9, 2009). Available at SSRN - Summary: No fund managers have skill. Feb 28, 2009 - Simulated Passive Investor Experiences (SPIEs): 81 Years, 972 monthly periods, 22 monthly rolling periods analyzed for 20 Index Portfolios (365,520 monthly data points or SPIEs! ), including the Great Depression. Another "Off the Charts" exclusive from IFA. What was the wildest 2 years of Index Portfolio 100 over the last 81 years? Over 961 12-month monthly rolling periods, the worst and best are right next to each other, 7/31 to 6/33. First it went down 72% in 12 months, then up 264% in the next 12 months. Total return = 3.52%. Yikes. See here. Feb 28, 2009 - Actively managed funds lose share to index rivals. Investors ditch market-beating attempts, settle for average returns. "Actively managed mutual funds are parasites on the savings of this country. They are just a legalized haircut on investor wealth. Fund managers are totally useless to a longterm investor because even the best are only better than the overall market for limited periods of time." Feb 27, 2009 - The Credit Suisse Global Investment Returns Yearbook 2009 has some interesting data. Feb 8, 2009 The IFA Challenge - IFA issues a challenge to all individual or professional investors. Submit monthly statements covering the period from Jan 1, 2000 (when IFA started) to Jan 31, 2009 and see if the risk and return of the portfolio you managed is more optimal than any IFA Index Portfolios. We have yet to see one. Jan 26, 2009 - What the Pros said in Dec 2007: One says buy Lehman Brothers, Bear Stearns, and Merrill Lynch and another says buy financial giant American International Group. :-) ELAINE GARZARELLI, PRESIDENT, GARZARELLI CAPITAL - " Our models show the S&P 500 is undervalued by 25%." See what happened? Jan 24, 2009 - Only ONE fund consistently beat the S&P500 over the last 10 years. But few investors owned it. But Index Portfolio 90 had a total return 65% more than the S&P 500 over the 10 yrs. Jan 20, 2009 - Burton Malkiel tells you to just index on Wealthtrack video. Jan 20, 2009 - What is Financial Advice? Nov. 14, 2008 - Kenneth French speaks on tech ticker. Dec. 2, 2008 - Charles Schwab Answers the Questions Investors are Asking. Nov. 24, 2008 Be sure to click on Subscribe button in the iTune to catch future Podcasts. Capitalism works on average and over time. This statement might be explained by Hebner's estimate that more than 100,000 public companies over 80 years have earned an average annual profit about 10%/year. If companies or stockholders of those companies desired capital, they traded their stock certificates for cash from investors. Through this trade, stockholders gave up the stock's future return of about 10% per year (currently 9.26%). That return has been driven up over the last 80 years and 10 months by the average profits of those simulated and actual S&P 500 companies. This is known as the "cost of capital" and the cost of capital is paid to the investors. Risk and return have a positive correlation. Free markets match prices to current levels of uncertainty, so that buyers can earn a risk-appropriate return. The greater the risk, the longer the time required to obtain the expected return. Investors should capture the average return of all stocks and the average return of a sufficient number of months. Passively invest, diversify to the maximum, maintain a small and value tilt and keep turnover, costs and taxes to a minimum. Risk exposure must be initially matched to the investor's risk capacity, then monitored and maintained through rebalancing. Avoid capital gains and dividends and realize losses in taxable accounts. Nov. 19, 2008 - When will the buyers be right again? About 10 Billions shares are bought and sold every day around the world. At each new price, buyers think it is a good time to buy and sellers disagree. Since prices are set at fair market value, there is a 50/50 chance that future prices will be higher or lower than the approximate 0.03%/day or 10%/year expected return for equities. Here are some interesting charts about past market declines (source: dshort.com) - Here are some more interesting charts showing recoveries since 1950. See ifacalc.com data here. Nov. 18, 2008 - Climbing the 12 Steps is not easy. See the new 48"x72" masterpiece painting by Lala Ragimov: "Journey to Tradeless Nirvana". This painting will be the centerpiece of the lobby in IFA's new 1st floor, 8,200 sq. ft. office. Nov. 11, 2008 - How do mutual fund distributions work? How does IFA minimize them for new investors? Nov. 10, 2008 - A Message from IFA President Mark T. Hebner: The Resilience of Capitalism - Updated for Oct. 30, 2008 Data. Nov. 8, 2008 - New Table provides updated data for October 2008. See bottom of this page. Nobel Prize Winner and IFA Academic Consultant, Harry Markowitz outlines a solution for resolving the current financial crisis. Nov. 6, 2008 - Free Markets are Doing Their Job. Uncertainty is Higher. Prices are Lower. Expected Returns are About the Same. Oct 31, 2008What percentage of the time have 20 IFA Index Portfolios had gains or losses. See the data in Daily, Monthly, Quarterly, Annual, 5-yr or 10-yr periods. More Eye Candy in glorious IFA Technicolor. Is It Different This Time? If you compare the 1907 crisis that struck U.S. and European financial institutions with 2008’s economic emergencies, you will discover striking similarities. Each time capitalism was resilient. - The Panic of 1907, Lessons Learned From the Market's Perfect Storm - Abstract from getAbstract - buy from amazon - Also see Manias, Panics and Crashes. Oct 22, 2008 Enrico thinks IFA.com is the best financial web site in the world! Thanks Enrico. Oct 16, 2008 We are advising all clients to consider two important portfolio maintenance topics, tax loss harvesting and rebalancing. New Updated Video: Oct 15, 2008 Should You Be Worried About Your Investments? Sept 08, 2008: Ask Mark about recession predictions. Aug 2, 2008: Mutual Fund Performance, Nitzsche, Dirk, Cuthbertson, Keith and O'Sullivan, Niall, (2006): A Devastating Conclusion: Essentially No Skill, just Luck: "Sensible advice for most investors would be to hold low cost index funds..." Another study: Mutual Fund Performance and Manager Style - A Devastating Conclusion: Essentially No Skill, Just Luck. A new study from Fama & French: Mutual Fund Performance No persistence of Luck. Stock pickers might as well be throwing darts at the WSJ, click the monkey to watch the video clip from the Trillion Dollar Bet: "A Devastating Conclusion"
Oct 10, 2008 Talk to Chuck Schwab. "During times of uncertainty, some investors make the mistake of trying to time the market by simply stepping out. History suggests that asset allocation, diversification and periodic rebalancing are the tools that investors should use to weather market downturns." Oct 9, 2008 Concerned About the Markets? Read "The Four Pillars of Investing" by William Bernstein, Chapter 6, titled Market Bottoms: The Agony and the Opportunity. It’s only 10 pages and it is worth the read. In his section titled How to Handle the Panic Bernstein says, "What separates the professional from the amateur are two things: first, the knowledge that brutal bear markets are a fact of life and that there is no way to avoid their effects; and second, that when times get tough, the former stays the course; the latter abandons the blueprints, or, more often than not, has no blueprints at all." Oct 3, 2008 A Classic from 1998 (nothing has changed): MARKET TIMING: A PERILOUS PLOY -- "Why do timers seem so inept? The stock market makes dramatic moves in relatively short periods, and those who miss them effectively miss a lot of the gains." Oct 3, 2008 "The only people who get hurt on a roller coaster are the ones who try to get off while it’s rolling!" Submitted by Daren. Oct 1, 2008 Eugene Fama Wins the First Onassis Prize in Finance, could the Nobel be next? Scary Headlines: Links are What Happened over the Next Ten Years. The triple whammy of "inflation, recession and a frantic bear market" was reported by Life magazine on the cover of its June 5, 1970 issue. The worst economic conditions since the Depression. Time made that observation in June, 1970. Sept 25, 2008 We are pleased to announce that financial economist and 1990 Nobel Laureate Harry Markowitz has joined the IFA Advisory Board. Dr. Markowitz is also the recipient of the 1989 John von Neumann Theory Prize. He is best known as the father of Modern Portfolio Theory. We are pleased to have this finance legend join IFA's team. Sept 24, 2008 Bear Markets are a Necessary Evil. Sept 23, 2008 Don't fall into the emotional trap of selling low and buying high. Every day has the same expected return for a broadly diversified portfolio of index funds. That expected return is about 0.04% with that pesky standard deviation of 0.85%. Out of 481 10-year periods in such a portfolio, they all had a positive return. Hang in there, capitalism still works. Schwab's Asset Protection , Financial Strength and Financial Condition. From Wikipedia: "The notion of creative destruction is found in the writings of Mikhail Bakunin, Friedrich Nietzsche and in Werner Sombart's Krieg und Kapitalismus (War and Capitalism) (1913), where he wrote: "again out of destruction a new spirit of creativity arises". The economist Joseph Schumpeter popularized and used the term to describe the process of transformation that accompanies radical innovation. In Schumpeter's vision of capitalism, innovative entry by entrepreneurs was the force that sustained long-term economic growth, even as it destroyed the value of established companies that enjoyed some degree of monopoly power." "And Lehman took more risks than most. Like Bear, it was leveraged at more than 30 to 1, which made for bigger profits in the mania of 2005-2006 but also greater losses when the music stopped. Lehman also went all in with mortgage products, even getting deeper into Alt-A loan bets as late as this year. Its CEO, Richard Fuld, appears to have managed the crisis with less skill and dispatch than has, for example, John Thain at Merrill." “It's like waking up in a world where 91 million Americans drive Ford Pintos while wearing flammable pajamas. Why, in gleeful defiance of the data, do more people keep buying [actively managed] mutual funds every year? Mutual Fund Performance, Nitzsche, Dirk, Cuthbertson, Keith and O'Sullivan, Niall, (2006): A Devastating Conclusion: Essentially No Skill, just Luck: "Sensible advice for most investors would be to hold low cost index funds..." Another study: Mutual Fund Performance and Manager Style - A Devastating Conclusion: Essentially No Skill, Just Luck. A new study from Fama & French: Mutual Fund Performance No persistence of Luck. Stock pickers might as well be throwing darts at the WSJ, click the monkey to watch the video clip from the Trillion Dollar Bet: "A Devastating Conclusion"
© 2007 Index Funds Advisors, Inc. Lessons from Bill Miller: Don't concentrate, don't style drift, and nobody can beat a risk adjusted market over long periods. Invest right, sit tight. - More on Miller. Do You Understand Standard Deviation? If you don't understand TAX LOSS HARVESTING, read this. Think you can time this market? Think again. Read the wisdom of Professor Malkiel: Read page 118-138. It might help you. This is IFA's YTD estimate of commissions and bid ask spreads paid by buyers and sellers to brokerage firms, NYSE traders and other silent partners as the result of the trading on just the NYSE and NASDAQ. That's about $645 Million per day or about 5 cents/share for buyers and sellers! Now you may appreciate why we hear constant "BREAKING NEWS" on the daily infomercials for the trading industry that lures us into trading. Please resist the urge! Don't be a bettor, be an investor. Invest right and sit tight. "Don't just do something, sit there! Wal-Mart sued over lack of index funds and lower cost institutional funds in their $9.5 Billion 401(k) plan. 1.4 million employees are mad and are not going to take it any more! They want index funds and they want them now! You should too. THE DEATH OF ACTIVE MANAGEMENT - The Selection and Termination of Investment Managers By Plan Sponsors - Or, "Luck Does Not Persist" From page 30, "To summarize our results, plan sponsors hire investment managers after superior performance but post-hiring excess returns are zero." IFA Institutional (ifa-i.com) for investments managed by committees, such as University Endowments. Stock Market Addiction is a Gambling Addiction. See 20 Questions for Compulsive Gambling? Note Stockmarket check box at the bottom? Followup: After suffering a roughly 35% loss over two years, on October 1, 2007, Timothy closed his hedge fund. Market Timing and Stock Selection Does Not Beat Passive Investing. Read it and see.